The photo is of the entire school. It was a very small country school. Susanna Margaret Leitch (Sue) & her brother John Alexander Leitch (Alec) are both in this photograph. 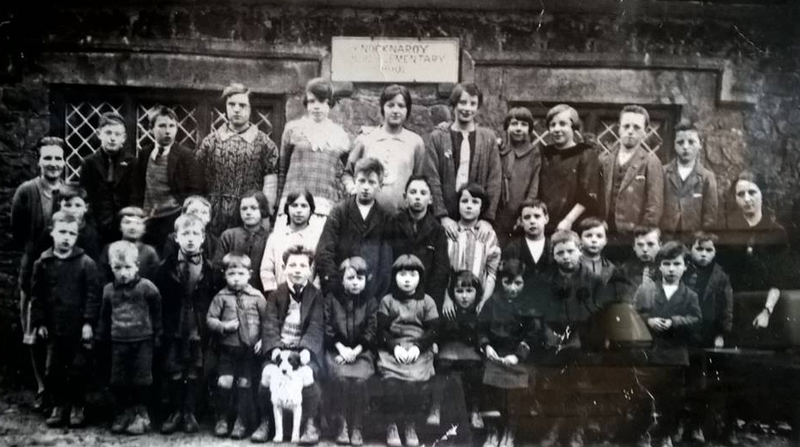 The school name was later changed to Knocknaroy National School. Information on School Registers can be found on our School Registers Post, which was added to our Mail List back in November 2000 by Keith & Edna Rippin. ~Thank you. Contact Tammy, our webmaster if you are descendant from anyone in the photo. Let's get connected.